Patrick practices in the area of railroad defense litigation and Corporate Defense and Litigation. 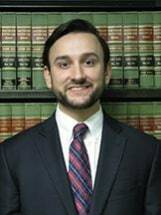 Prior to joining the firm, Patrick served as a Judicial Law Clerk for the 26th Judicial District Court for Hon. Michael Nerren and Hon. E. Charles Jacobs. He is a member of the Louisiana Association of Defense Counsel, Shreveport Bar Association and the National Association of Railroad Trial Counsel.